Found one of the many blanket bogs covering Scotland. 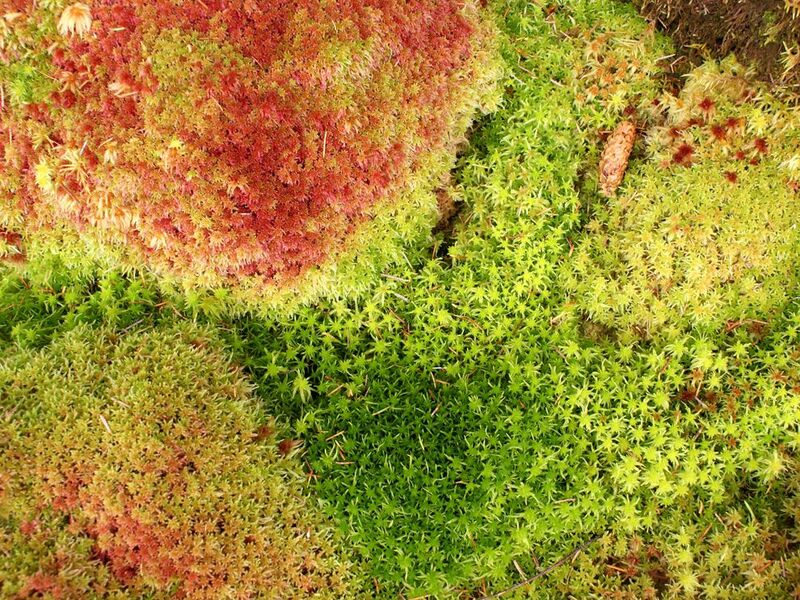 Sphagnum moss is the most common bog plant. This tiny plant stretches across poorly drained ponds, eventually choking them and forming a thick mat across the surface. Other low-lying bog plants include heather, reeds, and sedges.